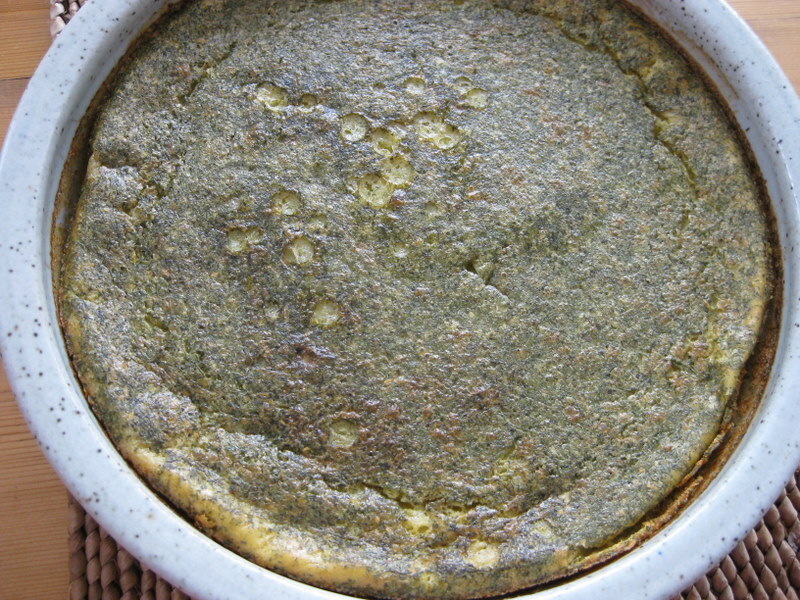 Farinata – a gluten free “bread” from Sicily and beyond…. I read about farinata years ago in a book about Sicily. The author described landing in Palermo and making his way immediately and without stopping to a tiny little cafe in the back streets of Palermo in which the best farinata was served. Piping hot bread like substance made of chick pea flour and water. In Sicily, they cook the farinata and then cut it into thin strips and deep fat fry it. I am a bit freaked by deep fat frying so I never explored farinata until I came across a chap from Liguria who said, "Fried? Farinata? Only the Sicilians would do that. They fry everything." So now, for your delectation, for vegetarians everywhere, for people who prefer gluten free bread and simply for gluttons who are not gluttons for punishment, a recipe for farinata that does not require deep fat frying and that was pronounced "excellent" by three Italians. One from Rome, one from somewhere in Liguria, and a Sicilian who was most brave about the lack of oil. It has a curious texture - a little like stiff custard. You would swear there were eggs in it, but no. The recipe is beneath the photo. Stir together to get the lumps out of the flour. Leave to rest for a good few hours, preferably over night. Using olive oil, grease a pie plate and pour in in the batter. Bake for 45-50 minutes or until golden and thoroughly set. Options: stir in or top with dried herbs or top with fresh herbs before baking. Interesting bread! So simple to make. Tastes of course strongly of chick peas, but is great add to our no-gluten table Thanks for sharing this!